Kentucky Derby odds favor Justify and Mendelssohn at Churchill Downs this Saturday in Louisville. Justify, a three-year-old colt who was sold to a Chinese horseracing club in 2016 for $500,000, is the favorite as of Thursday at 3/1. 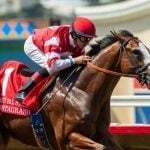 Trained by Bob Baffert, whose horses have won four Kentucky Derbies, six Preakness Stakes, and two Belmont Stakes, Justify is an undefeated 3-0 and includes a Santa Anita Derby win to his resume. Mendelssohn is at 5/1. The two-year-old colt won the UAE Derby in March in the United Arab Emirates by a staggering 18 lengths. Magnum Moon has the third-shortest Kentucky Derby odds at 6/1. Audible and Bolt d’Oro round out the top five to win “the most exciting two minutes in sports” at 8/1. Of the 21-horse field, 14 have odds 20/1 or longer as of Thursday. 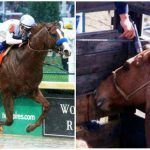 Horse racing is a dying sport in America, as tracks have suspended racing and even shuttered across the nation. 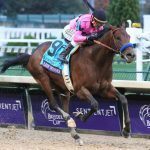 But for three days each year, the general public tunes in for the Triple Crown’s three races, the Kentucky Derby, Preakness Stakes, and Belmont Stakes. Interest in the third and final leg decreases when the same horse doesn’t win the Kentucky Derby and Preakness. The chances of a Triple Crown winner fuels enthusiasm, and that was evident in 2015 when American Pharoah became the first to win all three events in 37 years. As for a potential Triple Crown winner this year, oddsmakers feel there’s little hope. Online sportsbook Bovada sets the prop bet at 11/2, or implied odds of 15 percent. A $100 bet and a horse going on to become just the 13th Triple Crown winner would net $550. Betting against a 2018 Triple Crown is a gamble with little reward. The 1/10 odds net just $10 for every $100 wagered. Justify is the favorite should any horse win the Triple Crown at 17/2. Mendelssohn and Good Magic are next at 22/1. 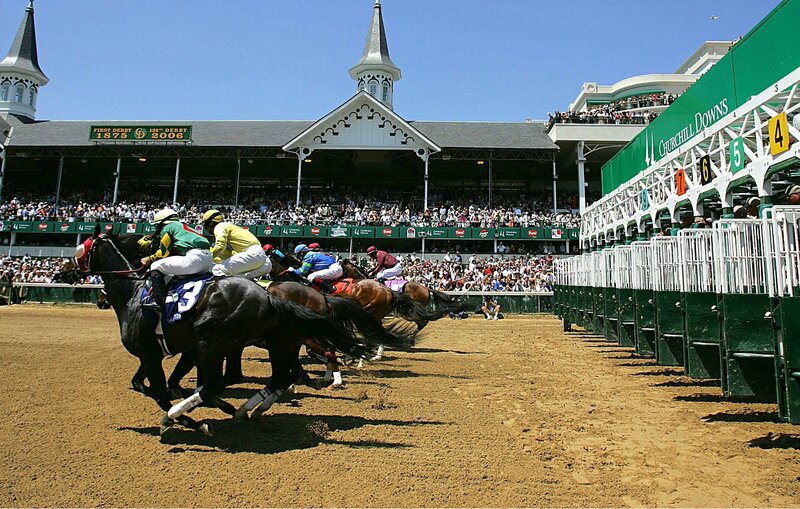 In addition to the standard parimutuel wagering options, bettors can take various propositions on the 2018 Kentucky Derby. Bovada poses a line asking whether Secretariat’s record time of 1:59:40 will be broken (Yes 11/1, No 1/50). The odds imply there’s little to no chance a horse will cruise past the event’s all-time mark. Gamblers can also take bets on the winning time, with 5/6 odds on both over and under 2:02:65. Bovada does feel there’s a decent chance the Kentucky Derby winner will go on to win the Preakness, with those odds at 6/4, or 40 percent. The three most common wagers in horse racing are to win, place, and show. More complicated bets include exactas and trifectas. In an exacta, gamblers must choose the winning and second-place horse in correct order. In a trifecta, the first three horses must be chosen in correct order.